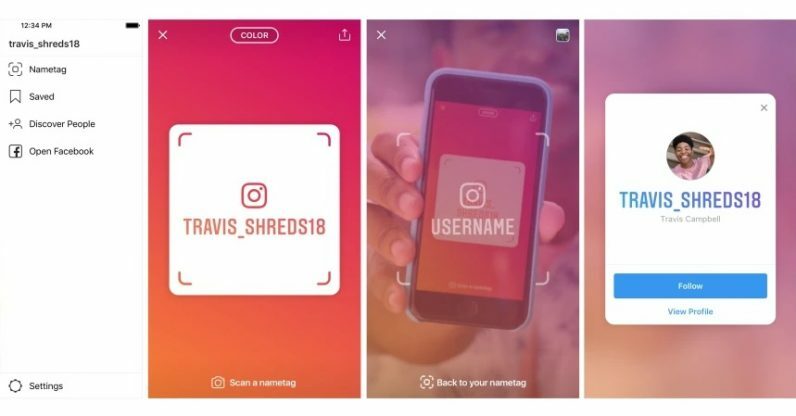 In a similar style to platform rival Snapchat, Instagram has launched QR Scannable Nametags (similar to Snapcodes) worldwide on IOS and Android. In addition, they’re testing School Communities in universities throughout the U.S. So let’s take a look at these two huge features and discuss what’s in store! When the feed and stories go a little dry, or followers start to dwindle, app usage reduces. Therefore Instagram combat this by rolling out two features, designed to connect and diversify peoples graph. You’re now able to add friends by scanning their name tags, with the ability to customise your own with colours, emojis and of course, selfies. Customisation is accessible via the three-line menu on your profile. Scanning is possible by tapping and holding codes through the Stories camera. Alternatively, follow instantly through the ‘Scan Name tag’ button on your nametag. It can be put on websites, other social platforms or even through SMS and app-messengers. We can see brands using this rather effectively, promoting their tags on ads online. Tryouts commence in universities across the U.S. The feature lets people join their universities network and add a line to their profile listing school credentials, class year, major, sports affiliations and societies. They’ll then be added to a directory of all school students who can directly follow or message each other. This is a positive step from Instagram, aiming to improve connectivity and communication. A small negative to note is the verification process. The feature relies on the info users publicly provide to determine if they belong to a school community, rather than official credentials. However, users can report suspicious accounts or misuse of the feature in the three-dot menu option. Also, rather than actively signing up, users will get a notification prompting to join the network, which is slightly easier. The launch marks the first under new leader Adam Mosseri. The features improve connectivity, whilst Instagram look to expand its social graphs and user engagement, driving growth and monetisation for the platform. Stay tuned for more app & feature updates. Any questions? Click here and get in touch with the Momentum Social team! Facebook's data breach warrants security outrage!